We hope that you scheduled your heating maintenance before the heating season began, just like you should be doing each and every year (or twice a year, if you have a heat pump). We also hope that when a professional recommends heating repair in Salt Lake City, UT, that you take care of it right away. After all, this is the only way to properly care for your heater, no matter what type you have. Eventually though, you will have to replace your heater. No amount of maintenance or timely repairs will prevent a heating system from aging—eventually “just one more repair” just won’t cut it. But how do you know whether or not the time has come to start considering a heater replacement or upgrade? It’s not always easy to tell, but we do have some common signs that you can watch for. If any of the three scenarios describe what you’re going through, be sure to give our pros a call. 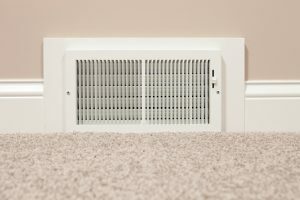 With a good amount of chilly weather still ahead in Millcreek, UT, hopefully you’ve come across this post before your heater has completely died. You may have noticed some troubling symptoms, though, which has you wondering if it’s time for a heating replacement. However, before you replace your system with a newer version of what you currently have, there are some considerations to make, which we’ve highlighted below. This will help you determine what system will be best for your needs. With the heating season really underway, you hopefully have a great heater installed and operating in your home already. If you never got around to replacing an old, failing system, though, or if your system has unexpectedly broken down early in the winter season, be sure to dial our number to have it replaced now. Not only do we carry a great selection of heaters, including furnaces, boilers, and radiant heating systems, but we also take every step necessary to ensure that your heating system in Millcreek, UT is a great fit for your home. This means guaranteeing that it is of the right size for your needs. When you work with Design Comfort, you need have no doubt about it. Utah attracts winter vacationers because of our picturesque snowfalls and superlative skiing conditions. Compared to other states farther north, we experience milder winters: cold enough for snow, but not so cold that we can’t have fun in the snow. However, any state with winters that produce steady snowfalls is one that requires its residents to have effective and durable heaters. Salt Lake City averages lows in the 20s from December through February, and lows in the mid-30s during March and April, mostly during the night. That calls for efficient indoor heating—and if you aren’t currently getting it from whatever system you have installed in your home, it might be time for a replacement. For top-quality installation and general heating services in Salt Lake City, hire Design Comfort. We’ve made this city more enjoyable for our clients to live in since 1982. If you keep track of your power bills, you will know what to expect each winter when you start heating your home. If your bills increase without explanation, it usually signals that your heating system needs repairs. But if the inflation remains even with maintenance and repairs, then your heater might be approaching the end of its lifespan. As with your power bills, you know what noises to expect from your furnace, boiler, or radiant heater while it’s operating. If you start hearing strange noises that repairs do not remedy, it’s a sign of extreme aging inside the system that has put it beyond the help of regular maintenance. If your home no longer seems to get as warm as it used to, there are a number of possibilities to investigate, such as decaying insulation or thermostat malfunctions. However, your heater might simply no longer be up to the task. If this heating loss occurs in connection with the increase in power bills or a frequent need for repairs, then you probably should have a new heater installed. Deciding on a heating replacement is a big step, so don’t make it lightly—or without professional advice. If you suspect your heating system is in its last days, get an HVAC technician to come to your house and inspect it. An expert can offer advice on the best replacement unit to get if it turns out that you will need a new heater. You can rely on Design Comfort and our years of experience to guide you toward the best heater to install in your home, and then perform the installation so your new system will work for you for many years. We are one of the best places to turn for Salt Lake City, UT heating services.